Inspired by her mother, also a violinist, Sofia began studying violin at 4. 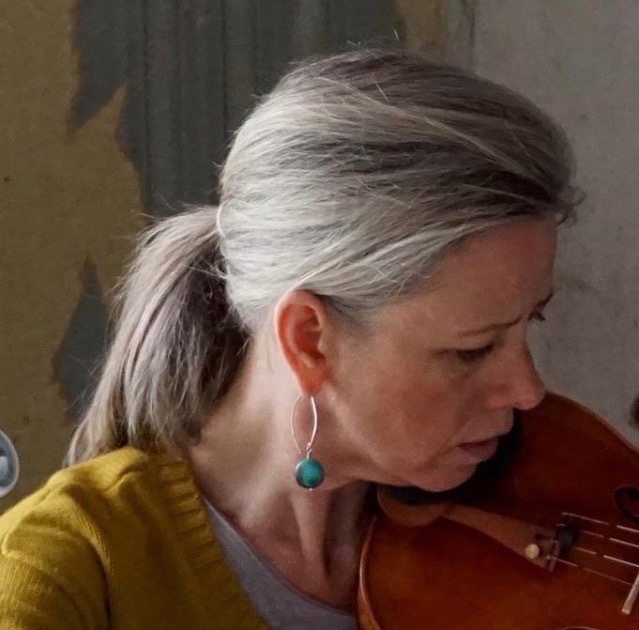 She loved playing in the VYO ('84-88) and her VYO string quartet, competed nationally at the Fischoff National Chamber Music Competition, Junior Division. College took her in other directions, and it wasn't till 2000 that she joined the Vermont Symphony, then BCO (Burlington Chamber Orchestra) as a founding member, and many other groups across the state including Dartmouth Handel Society, Dartmouth Symphony, Middlebury Opera, Middlebury Bach Festival, Eleva Chamber Players and others. She performs regularly in Brandon, Stowe and Burlington with the Northern Third Piano Quartet. Her latest ventures combine live music and live dance, involving two of her dance mentors, past and current. She provides the music. Threads and Threshholds with Hannah Dennison in East Calais' historic Kent Museum, and across the state with Farm to Ballet, performing the solo in Vivaldi's 4 seasons. Sofia lives in South Burlington.